The platform came to life through everything from the society rings that members received as they arrived at the event, to the decoder beer coasters they used at the bar. As a modern take on a secret society, the pieces make the most sense once you’re a member of the club. 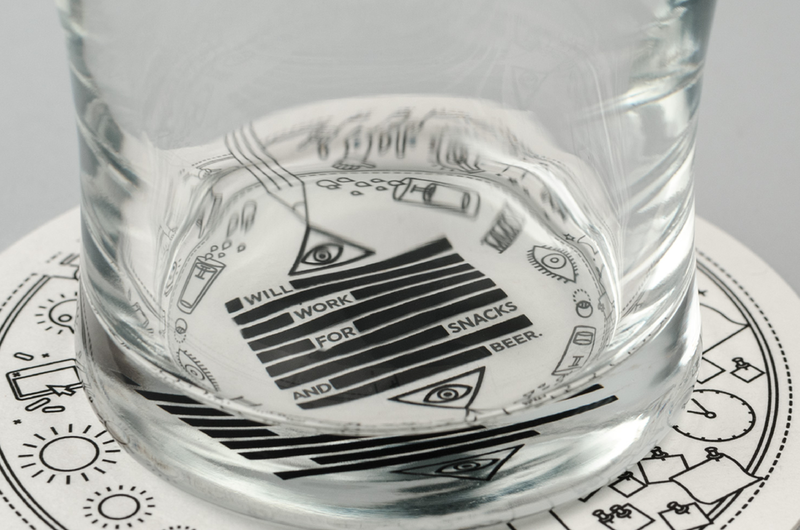 We created special pint glasses that, when paired with our coaster, reveal a secret message. 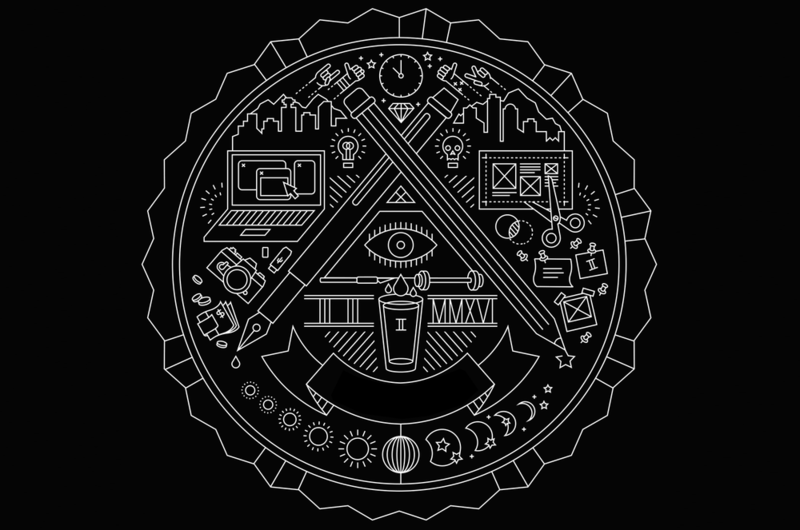 The glasses also feature a hidden eye printed on the opposite side of the glass that when lined up correctly, brings the Beer and Idea Appreciation Society logo to life.